As part of our ongoing commitment to deliver better broadband to Australians, we’re excited to announce our partnership with Netflix, and the launch of Vodafone TV™, our first ever media streaming device. The way that Australians use their internet is constantly evolving, and streaming services have absolutely taken off in the last couple of years. In fact, according to recent Netflix research1, on average Netflix users watched more than two hours per day of drama series and mystery thrillers like Riverdale and The OA. That’s why we’re passionate about providing an internet service that can keep up with the demand of modern Australians. From today, Vodafone will offer customers a 12-month standard Netflix subscription on selected 24-month nbn™ plans, on us. This is available to both existing and new Netflix customers. But grab it fast, because the offer2 ends 30.06.18, and you must redeem your subscription by 31.08.18. We are also making it easy for customers to access and enjoy their favourite content with the launch of our own streaming device: Vodafone TV™. The Android TV powered device puts people within easy reach of popular content and services such as Netflix, YouTube and Google Play Movies, and can be added to their post-paid account for just $6 per month over 24-months3 or $144 outright or online. Total min cost $144. (Accessory payment plan not available online. Available on 12 month, 24 month and 36 month accessory payment plans). Content subscription and data charges may apply. Broadband connection required and Fair Use Policy applies. The device is 4K Ultra HD capable and can access Netflix and YouTube with a single click of the dedicated buttons on the remote control, as well as featuring Google VoiceSearchTM. Following the successful launch of Vodafone nbn™ in December last year, we’re now close to doubling our nbn™ footprint and expanding to 444 retail stores across the country. – Vodafone Essential (nbn™ 25 tier): $69. Over 24 months. Total min cost $1656. – Vodafone Essential Plus (nbn™ 50 tier): $79 including 12 month Netflix subscription on a 24 month plan. Total min cost $1896. – Vodafone Premium (nbn™ 100 tier): $99 including 12 month Netflix subscription on a 24 month plan. Total min cost $2376. You can find out more information and sign up to our Vodafone nbn™ plans here. Our nbn™ 50 plan is in hot demand because people recognise that their broadband service needs to support the introduction of more and more connected devices in the household. The 12-month Netflix subscription on selected 24 month plans can be applied to new and existing Netflix accounts so our plans deliver terrific value. By almost doubling our Vodafone nbn™ footprint, more people around the country will be able to experience the Vodafone nbn™ difference. Last year we changed the game with the introduction of Vodafone Instant Connect™4, giving people peace of mind that they’ll stay online while their nbn™ is being connected. Instant ConnectTM allows customers to connect to the internet right away, via our mobile network. (Subject to mobile coverage availability – see vodafone.com.au/coverage. Speeds limited to a max of 12Mbps (down) and 1Mbps (up)). Our great partnership with Netflix, coupled with the Vodafone TV™ device which provides easy access to the Google Play Store, is an exciting new offering for our customers. Vodafone TV™ will is now available for just $6 per month over 24 months, or can be purchased outright for $144 in-store or online. 1 Popularity based on the average daily viewing hours per member between November 1, 2016 and November 1, 2017, Research based on more than 60,000 survey responses from Netflix members between October 24-30, 2017. The sample is representative of an adult population who watch TV shows as a couple in 32 countries. The survey included new show or new season launches of Netflix originals from November 1, 2016 - November 1, 2017 only. Find out more here. Valid for 12 months of the Netflix Service on the Netflix Standard (HD) streaming plan (total value $167.88). A Netflix compatible device and broadband internet connection required to watch instantly. Offer is not redeemable or refundable for cash, subject to applicable law, and cannot be exchanged for Netflix gift subscriptions. You may apply the value of the offer to a different streaming plan. Exchanges in this manner may alter the duration of the offer. Netflix Service price plans subject to change. See www.netflix.com/termsofuse. Netflix offer (“Offer”) for first 12 months available to approved new customers who sign up and stay connected to a $79 Essential+ nbnTM or $99 Premium nbnTM 24 month plan (“Eligible Plan”). Not available to Business, upgrading or rate plan change customers. Data charges not included and will come out of your monthly data allowance (either via the mobile network or broadband internet service). Offer period starts after your Vodafone nbnTM service is activated and you redeem the Offer by validating your email address before 31/08/18. After the Offer has ended, if you were an existing Netflix customer before signing up to an Eligible Plan, you will be charged the subscription charge directly by Netflix using the card details provided on sign-up. However, if you were not an existing Netflix customer and have a Vodafone Postpaid Mobile Plan, the subscription charge will appear on your Vodafone bill. If you do not wish to continue you must contact us. If you were not an existing Netflix customer and do not have a Vodafone Postpaid Mobile Plan, Netflix will contact you to arrange payment for Netflix. Offer is available if you stay connected for 24 months. If you cancel your Eligible Plan before 24 months, early exit fees will apply – maximum $400. A plan upgrade will not increase your offer period. For full terms and conditions see https://www.vodafone.com.au/about/legal/plan-details. Accessories Payment Plan (APP) enables Vodafone postpaid customers to buy accessories and pay for them in instalments over 12, 24 or 36 months (Period). Your accessory price is spread in equal instalments over the Period (APP Instalments). Your APP Instalments will appear on your monthly bill. Under the APP, you own the accessories; you must pay your APP Instalments at the same time and in the same way as you pay for your Vodafone service even if your APP accessories are lost, damaged or stolen. If during your APP commitment Period you cancel your APP or postpaid plan, the balance of your APP Instalments is payable. You can pay the remainder of your APP and terminate your APP at any time by contacting us. We will notify you of the amount you need to pay to satisfy the remainder of your APP total amount and will be displayed on you next bill. Once we receive your payment for this amount in cleared funds, your APP will be terminated and you will not be required to pay any further APP Instalments. You can have a max of 5 APP per postpaid plan. Each APP can have up to 10 accessories. Not available online. Vodafone Instant ConnectTM is a complimentary service that provides an interim internet connection using either the Vodafone 3G or 4G network in Vodafone Coverage Areas only. It is only available using the Vodafone Wi-Fi Hub™ with a Vodafone SIM on our network. Instant ConnectTM is available from when you receive your Wi-Fi Hub until your nbn™ service is fully activated or for a period of 30 consecutive days (whichever occurs first). Speeds are throttled at a theoretical maximum of 12Mbps for downloads and 1Mbps for uploads. Service performance varies depending on network coverage and your location with speeds likely less than the maximum. Our Fair Use Policy applies, see our Fair Use Policy for details. Netflix logo and trademarks are logo and trademarks of Netflix, Inc. Android, Android TV, Chromecast and Google Play are trademarks of Google LLC. Netflix services and contents are provided and made available subject to terms and conditions to be agreed by the end users with Netflix, and neither Vodafone nor Technicolor shall, to the full extent permitted by applicable laws, be held responsible in any manner for the availability and or the supply of such services and/or contents. 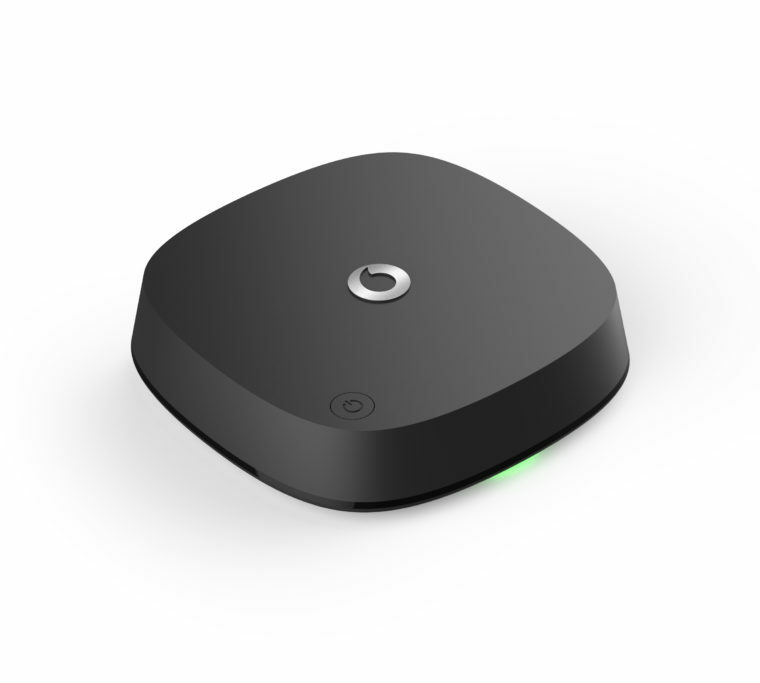 Vodafone TV™ is a device that allows you to access content and stream live TV. To use Vodafone TV™ you must have 1) a television with a HDMI port and access to free-to-air television; 2) A Vodafone Wi-Fi Hub™ or other compatible modem; 3) an active fixed broadband internet connection with Wi-Fi enabled and 4) a Google account to purchase content from the Google PlayStore. Your television must support 4K definition to view 4K content. Downloading, uploading or viewing certain content will consume data from your Plan allowance. You will be charged for this data usage at the rate set out in your Plan details. If you are with another provider all data usage will be charged according to the rate specified in your Plan by your provider. Download speeds and quality of content may be affected by location, network congestion, equipment, content accessed, number of devices connected to your network and Wi-Fi performance. Any additional purchased content will be charged directly to you by Google through an accepted payment method. For all safety instructions and equipment compliance please refer to the Vodafone TV™ Quick Start Guide. Casting optimised for selected services only. Streaming quality for other content might vary. Supported operating systems and devices: Android 2.3 and higher, iOS® 7 and higher, Windows® 7 and higher, Mac OS® 10.7 and higher and Chrome OS (version 38 or higher). Vodafone Vodafone nbn™ is only available in selected areas and premises. Subject to service qualification check. Some technology types are not currently supported by Vodafone nbn™. Vodafone nbn™ is a data-only service and is not compatible with your home phone line service meaning you may no longer be able to use your landline (or existing phone number) for calls after you sign-up, depending on your technology type. Vodafone nbn™ service may also impact or interfere with existing technology, devices or services at your premises including medical devices, alarms, eftpos machines, lift emergency phones and some email or fax services. Min monthly spend is $69, $79, $99 (for $69, $79 and $99 plans respectively). For consumer plans, the maximum early exit fee payable is $400 (including device costs). For business plans, the maximum early exit fee payable is $350 (including device costs). The exact early exit fee payable is determined by when and why you leave. Please see your Plan Details for more information. Total minimum cost excludes $300 New Development Fee that is triggered when you live in a new development and any additional costs for call outs that may be applied when there is a missed appointment or where no fault is found. You will be charged for using your plan from the point of nbn™ activation at your premises. Vodafone nbn™ is only available in selected areas and premises. Subject to service qualification check. Some technology types are not currently supported by Vodafone nbn™. Vodafone nbn™ is a data-only service and is not compatible with your home phone line service meaning you may no longer be able to use your landline (or existing phone number) for calls after you sign-up, depending on your technology type. Vodafone nbn™ service may also impact or interfere with existing technology, devices or services at your premises including medical devices, alarms, eftpos machines, lift emergency phones and some email or fax services. Minimum monthly spend for month 1 is $209, $229, $249 (for $69, $79, $99 plans respectively + $150 upfront modem cost). Minimum monthly spend for month 2 onwards is: $69, $79, $99 (for $69, $79 and $99 plans respectively). Total minimum cost excludes any additional costs for call outs when there is a missed appointment or where no fault is found or the $300 New Development Charge that is triggered when you live in a new development. You must connect for a minimum of one month. Recurring monthly plan fees are charged until the end of the month in which you notify that you wish to cancel. You will be charged for using your plan from the point of nbn™ activation at your premises.